Raised by the gritty streets of Baltimore, Phoebe Jean is a character worthy of attention. With her cool as ice persona and knack for catchy choruses, the zealous white girl sings soulful melodies over snappy club breaks to create a fresh sound to call her own. 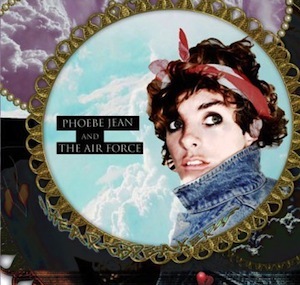 Producing her own moody beats, Phoebe Jean fills tracks with honest emotion resulting in a mixed project of fun electro tracks and dark addicting tunes. “Day is Gone,” the lead single off Heartbreakers, is a hyper party starter with groovy breaks, dirty synths, and a booming hook that will get any dance floor hot and sweaty. But the most seriously personal moments on the album turn out to be the most enjoyable. Phoebe’s raw passion seeps into her theatrical music to produce gloomy tracks with a pleasant edge. On the chilled out ballad “Los Angeles 7”, the singer/songwriter preaches her creed singing, “I know I don’t want to think about the hard times, I swear.” But refusing to dwell on the past in favor of a brighter future is easier said than done, just ask Phoebe. She throws a wild party, yet Phoebe’s most sincere songs such as “Facts of Nature” and “No Game” are her best.